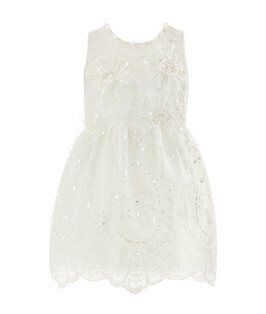 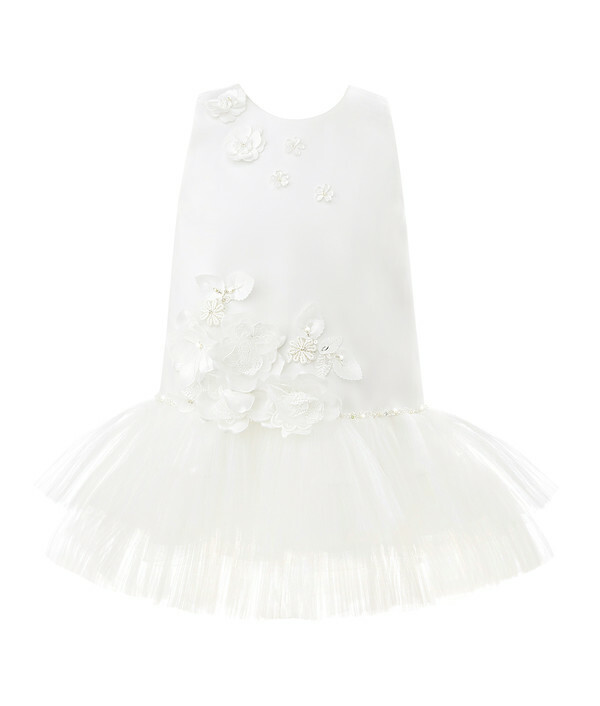 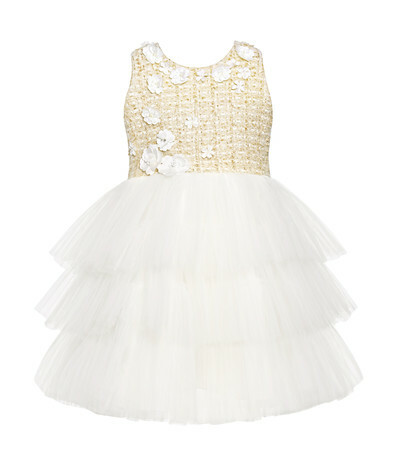 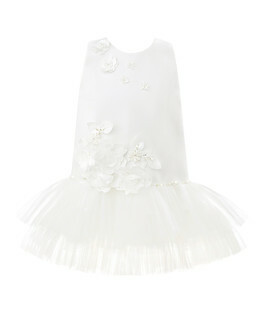 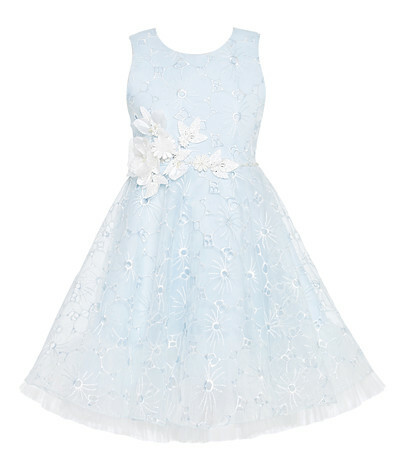 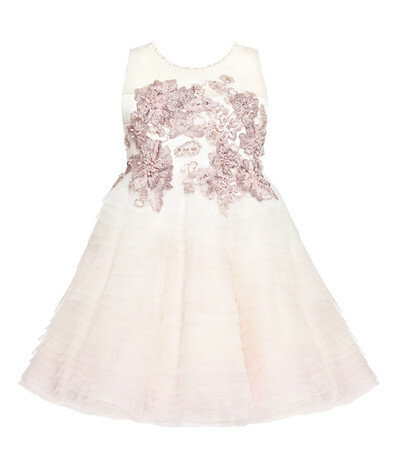 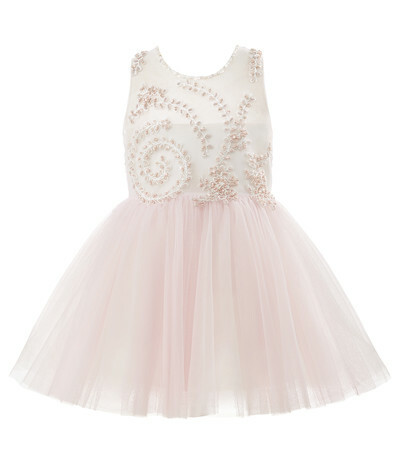 Gentle motherly love is portrayed through a ballerina dress inspired by the lines of a little white swan. 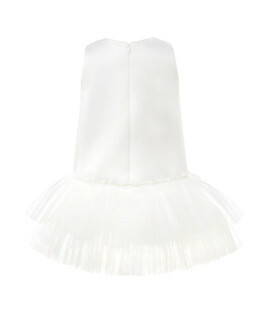 Sheen fabric at the trunk give gentle touch to the skin all the way down to the flaring skirt that resembles the swan’s elegant back. 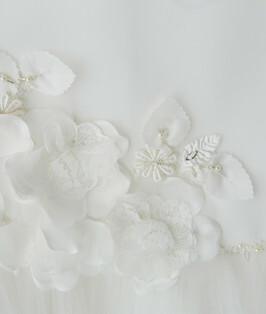 Hand crafted 3D flower details in swan-white shade add more glam and texture.